The NFL reportedly maintains close ties with billionaires who it believes would be good team owners, for whenever a team becomes available. 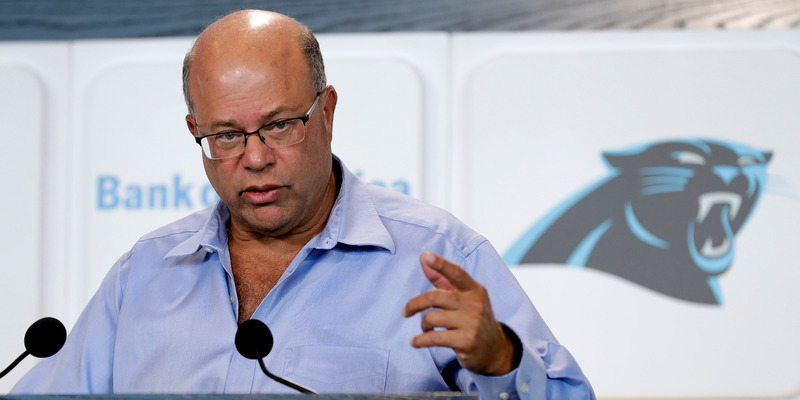 When the Carolina Panthers were sold this year, the eventual new owner, David Tepper, was widely seen as the league’s first choice. Jon Wertheim has an interesting piece up in Sports Illustrated about the family ownership model in the NFL, which contains an interesting nugget about the league’s business practices and how carefully the league manages, or perhaps micro-manages, the sale of teams. „A source with firsthand knowledge of the NFL tells SI that in part to combat ‚the Beverly Hillbillies scenario,‘ the NFL keeps close ties with a group of billionaires, who could—and would—potentially buy a team,“ Wertheim wrote. This report meshes with details reported about the most recent sale of an NFL team when the Carolina Panthers were sold to billionaire David Tepper, whom the league reportedly heavily preferred to purchase the team. While it is understandable that the league would want to be scrupulous when it comes to who it lets into its exclusive club, it is worth asking whether this arrangement could propagate groupthink among NFL leadership, which in turn could potentially explain some of the league’s recent struggles and controversies. ← Online-Banking heute – Wozu eigentlich noch eine Bank?